It is no secret that I am a lover of all things sweaty. I had ClassPass for quite some time but put it on hold when I was marathon training, then injured and then moved and was trying to save some money as I figured out my new routine. Then the IBD diagnosis came and running really was put on the back burner and I needed some variety in my routine. My gym that I joined by my new place is kind of ‘meh’. It does what it needs to do but the class times are mostly inconvenient (there is literally ONE class early morning during the week, they definitely cater to the stay at home/older set). And while it has Body Pump one of my most favorite classes it fills up quickly (you have to register) is only a couple times a week and again the times are not the greatest. I needed to get out of the zone out on cardio routine and quick. So I took my ClassPass off of hold finally. This time I started to fully take advantage of it. Last time around I didn’t branch out to new places really I just used it at my old favorites. This time I made it a point to try out new places and get out of my comfort zone. Let me break down what a good investment it is financially (for someone who has finally put herself on a budget for real). Classes in NYC are not cheap. Even when you buy packages you are usually paying upwards of $20 per class (and that is conservative). And to continue on the conservative front let’s say that a single class is $25 to drop in. My first month back on I went to 20 classes which comes out to $500. ClassPass is $99 a month. Umm hello. That paid for itself multiple times over! 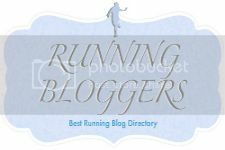 Mile High Run Club – cannot say enough about this – for a runner that likes to zone the hell out being forced to run intervals and hills and have someone else time those intervals is awesome. I still have issues with running and IBD but I try to get there as much as possible. Peloton – I LOVE their bikes and also their Live DJ ride. Do it. Trust me. It’s amazeballs. Pace for Success – great quick classes – the space is no frills but the workouts are fantastic – strength circuits and intervals that leave you burning and sweaty. Crunch – Athlete’s Workout – I loved the opportunity to go to the actual gym (they have gym time or classes that you can sign up for) this class is an intense 45 mins of rotating between cardio and strength nonstop. I LOVE the instructor Justin (Tuesdays 19th Street 5:30pm) his energy – he is bouncing off the walls and the workouts leave you burning! Om Factory – I have had classes with a couple great instructors. I cannot wait to try an arial class though! In the past several weeks I am losing weight and also noticing some positive changes in my body composition which I can definitely attribute to getting out of my fitness comfort zone. I have a list of studios on my “to try” list like Flex, Tone House, Surf Set, Barry’s (one day I will man up) but they are the harder ones to get on the schedule (although Mile High is always a feat in itself! I am proud when I manage to get into the class I want!). My weeks basically revolve around planning out classes. I love it and I definitely recommend giving it a try if you have not or were on the fence! You can put it on hold for a fee if needed (and still take one class!) but it is a fun way to really put your fitness to the test and try out different places throughout the city without spending hundreds of dollars. Isn't Class Pass the most fun thing ever for those of us on the off season? I love playing around and going to new places, but I am with you--I just can't afford to do that on a drop in or membership basis. HECK no. YES! I definitely have to weigh the pros and cons of keeping it when in training but I am having a lot of fun doing whatever my heart feels like on any given day! Seriously though, how people afford to go several times a week to studios on regular pricing, boggles my mind. SERIOUS cash right there!